This jacket is so great that I got it in black this year having purchased an olive one last year. They look like completely different jackets. I prefer the black for business commuting it keeps me warm and looks smart. I am in my early 30’s and can see myself keeping this jacket long term. I would size down by one size as it fits generously. I purchased a size 34, being a normal 36S (UK suit size) and I am still able to wear my business suit jacket underneath. I am 5’6 male medium build and the jacket fits great. The articulated sleeves and storm cuff are great and jacket sleeve length fits comfortably. The buying process was swift and easy. 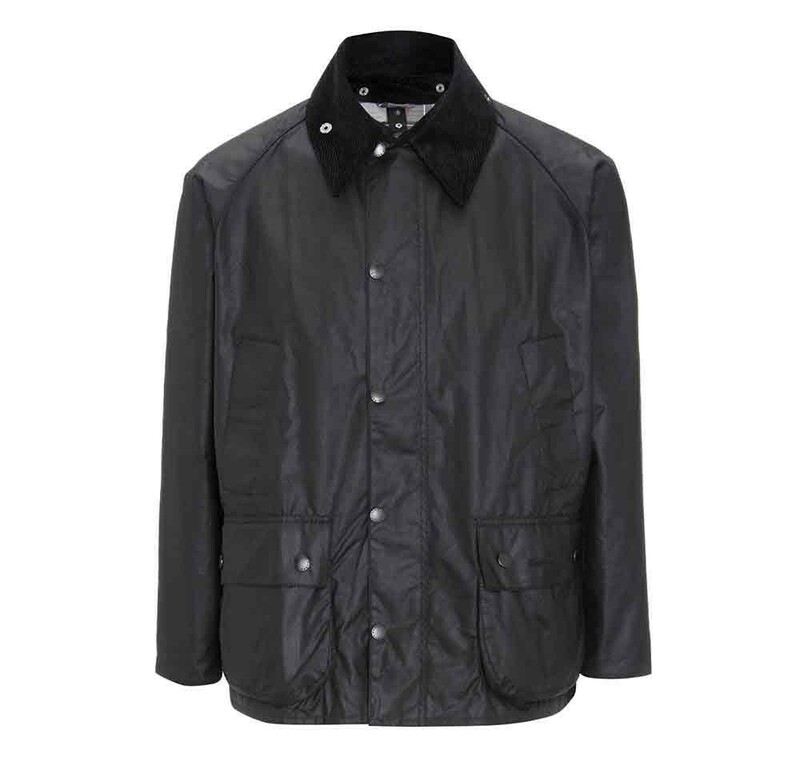 This ones made in England, great jacket Barbour.